+ plan b (Sophia New & Daniel Belasco Rogers) and Igor tromajer; moderation: Regine Rapp & Christian de Lutz (curators). Art Laboratory Berlin would like to announce the exhibition project Controlling_Connectivity by the Australian artist Gretta Louw reflecting use of the latest forms of digital communication. 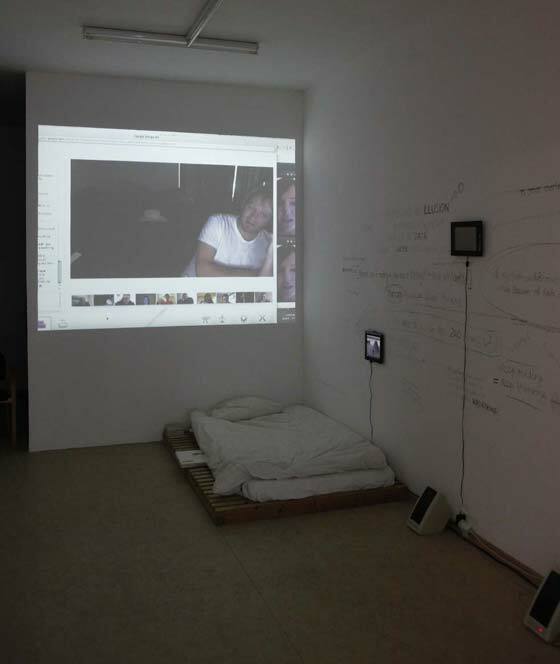 Her 10-day online performance (2- 12 November 2011) has laid the basis for an exhibition which will include screen capture footage, photographs and an installation. In many ways participation in the elaborate communication networks that now underlie social interaction is no longer a matter of choice, since failure to participate is, in many demographics, akin to social withdrawal. Our decision to connect with and perform within online networks also plays an increasingly large role in determining professional success. The question, however, is what are the other effects of our growing reliance on online communication and community on our lives, culture, and society? With the opportunity for connectivity and limitless access to information, comes the obligation to be increasingly available to receive and transmit; to be perpetually connected. The consequent erosion of true leisure time, the blurring of the traditional professional/ personal, public/ private dichotomies, and an information overload are creating hitherto unknown levels of psychological pressure. Controlling_Connectivity uses the pervasiveness of internet-based social networking, and the obligation as well as the opportunity for constant connection with these platforms as a paradigm for a severe and systematic disruption of normal, socially accepted patterns of life and interpersonal interaction during a self-documented performance. Taking to its natural extreme the notion that new technologies are increasingly dictating our social interaction, professional life, and have a far reaching effect on many other aspects of daily life, Gretta Louw completed a durational performance, literally performing and testing herself, as she lived in the gallery space in complete isolation except for contact through various social networking sites on the internet. For 10 days the artist was available 24 hr/day for discussions, emails, comments, or interviews - of both private and professional nature - for any internet user wishing to take part in the project. 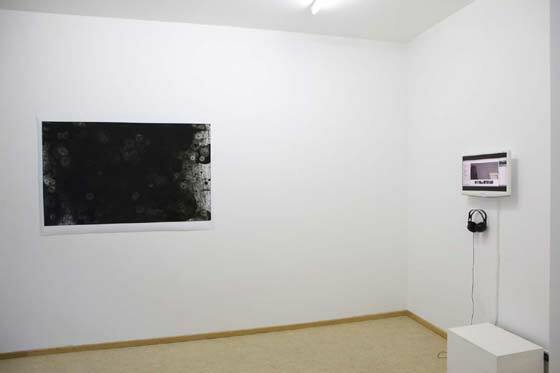 All necessary supplies were stored within the gallery and the windows were blacked out to ensure that the environment was not normalised by natural light or the social rhythms outside, but defined purely by the internet connection to external participants. A number of planned online events (the artist's 30th birthday; live talks and performances with partners in New York, Japan, Denmark and Berlin; interviews with press, etc.) were scheduled at intervals throughout the performance, with these social and professional pressures becoming progressively more difficult to fulfill as sleep deprivation and isolation took effect. In her work Louw seeks to explore to what extent an extreme use of the Internet and our belief in the online connectivity psychological can have psychological consequences. Her inquiry questions self-censorship and socially acceptable forms of behavior in the face of the constant pressure put in place by society's inexorable increasing need for connectivity. Controlling_Connectivity: Texts from Gretta Louw on Vimeo. 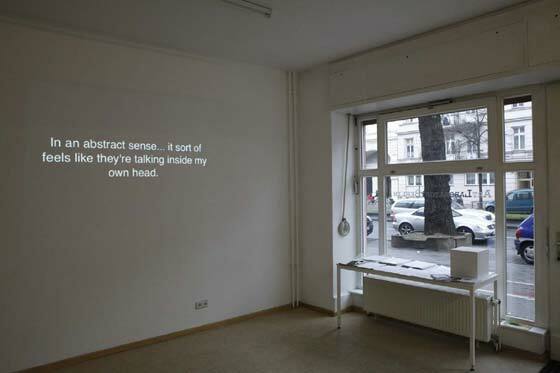 This video piece comprises, amongst other thoughts and excerpts, text contributions from participants in the Controlling_Connectivity durational online performance, which was performed by Gretta Louw at Art Laboratory Berlin in November 2011. The soundtrack is a recorded skype discussion between the artist and Dr Leon Tan on the 5th day of the 10 day performance.